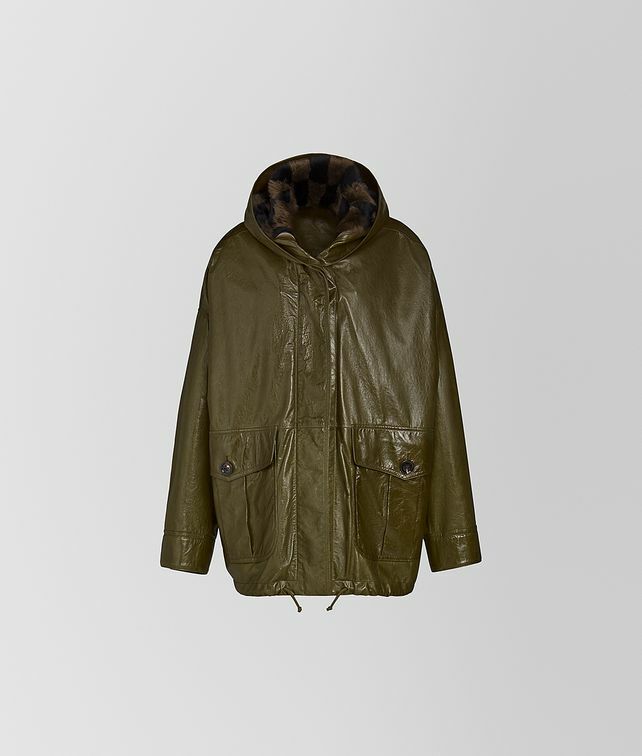 This luxe parka, featured in the Cruise 2019 presentation, is crafted from shiny, lambskin with a removable hood lined in checkered shearling. The jacket has a drawstring at the waist which can be used to adjust its shape. The detachable nylon lining is designed to be worn on its own. Finished with horn buttons.